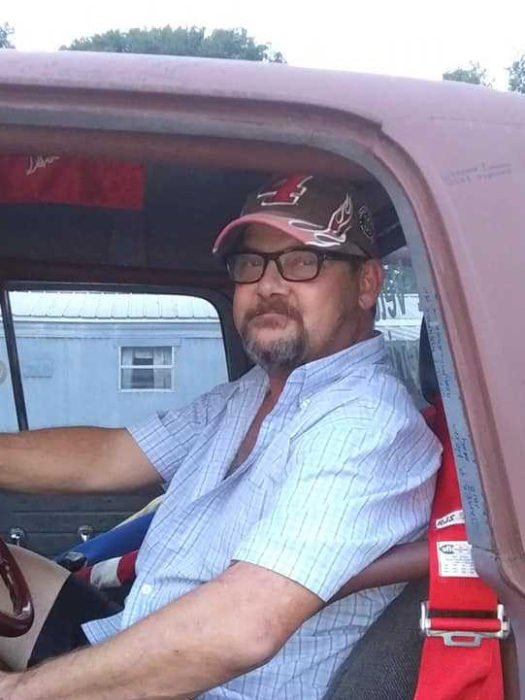 Anthony Noble, "Tony" 46, passed away on Saturday, October 20, 2018 in Kinsey, Alabama, surrounded by his loving family. There will be a Memorial Service for Anthony to be announced at a later date. Anthony was born on November 3, 1971 in Ft Lauderdale, Florida; the son of Delmas and Betty (Jeannie) Hargrove Hardin. Tony was an avid Alabama fan and Nascar’s Kevin Harvick fan who he was hoping would win this years Championship. He worked mainly in construction and roofing, the latest being with K&K Construction in Kinsey, Alabama. Tony loved fishing, going to Nascar races, camping, football (especially the Dale County Warriors) and spending time with his step-grandson Tyler, whom he regarded as his son. Left to cherish Tony’s memories are his wife Loretta Noble, mother Betty (Jeannie) Hardin, step daughter Melissa Simpson and Tyler Simpson who he raised as his own son, brother Douglas Franklin Noble, Navarre, FL., sister-in-law Margaret Barker Daytona Beach and a special Uncle, Tommy (Ingrid) Hardin in Deland, Florida. Tony has many aunts and uncles and neices, nephews and cousins in Texas, Florida, Georgia and Michigan who will dearly miss him along with hundreds of facebook friends and stepbrothers, Jeremy Hardin, Anthony Hardin, Quinton Rutherford and Mark Rutherford. Also, special friends Tony German and Greg Key and many friends from the Blackwoods community who he grew up with. Also a special cousin, Stephanie Mathis, Deland, FL. who has been such a tremendous help to the family in these difficult times. He is preceded in death by his father, Delmas Franklin Noble, his loving grandmother Hazel Hargrove, grandfather Oliver Hargrove, uncle Louis Hargrove and great grandparents Maude and Romie Kincaid and his step fathers Marcus Rutherford and Bobby Hardin.